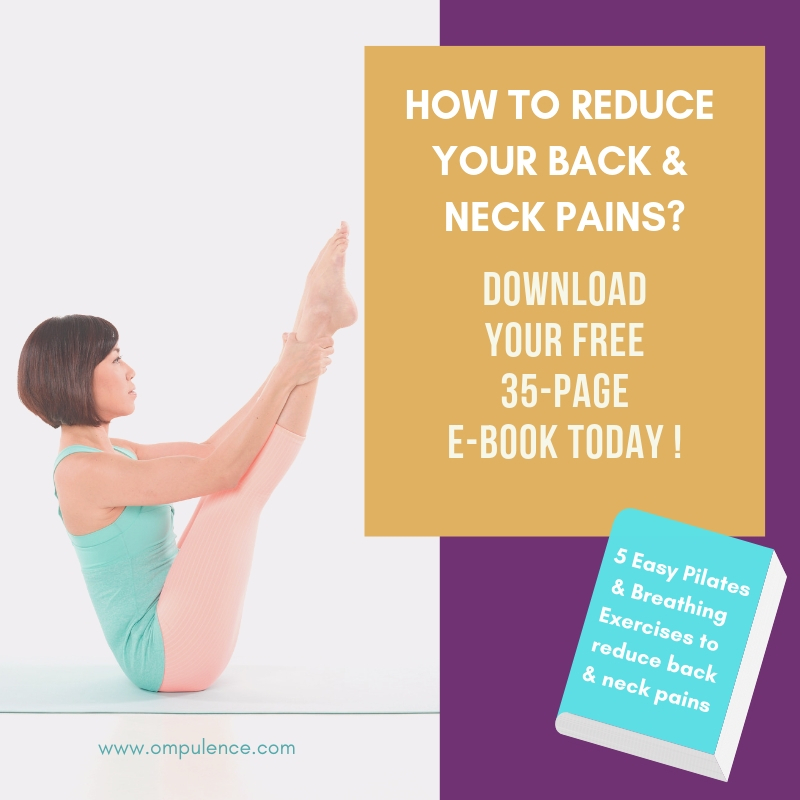 Ompulence – Start with one mindful breath, one mindful movement and one positive intention. Ompulence offers classes for students who want to learn in small groups and dive deeper into yoga or pilates. Carol has been teaching pilates for more than 15 years and Sivananda Yoga for 7 years. She created an elective course for the university in Singapore and has been helping many young adults and working adults. 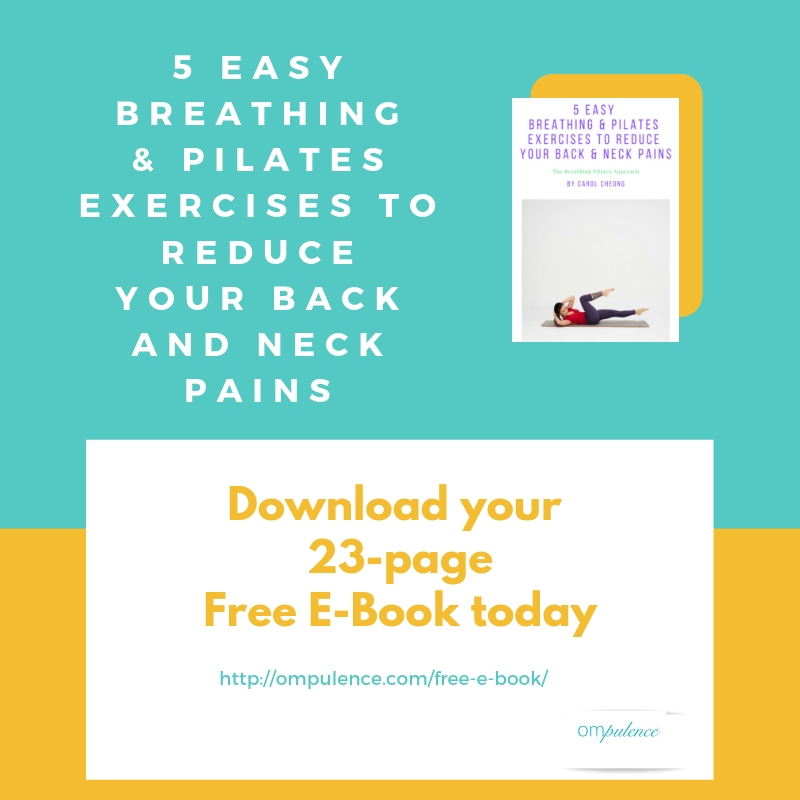 Ompulence guides all students to pay attention to their breaths and move with their breaths to a stress free body and better well being. Carol has been my yoga teacher for two years and I never found a class I stuck with until I found her. Carol possess a profound kindness and calm that infuse her classes. She treats all students with great compassion, recognising where they are in their own practice and never compares them to each other. I learned from her to love my body more, to see it not as static but keenly connected to the mind and the ups and downs we go through. Carol's practice has been invaluable in helping me experience first hand the importance of self-acceptance. I cannot recommend her enough! I have spinal fusion at the L4/5 vertebra and have chronic lower back pain. During the Breathing pilates Course by Carol, I learnt the importance of connecting my breath to my core muscles which ultimately supports my spine. She emphasises on engaging the correct core muscles for each exercise while making sure that we maintain correct form and posture. I find that I am able to function better in my daily routine after attending the course. 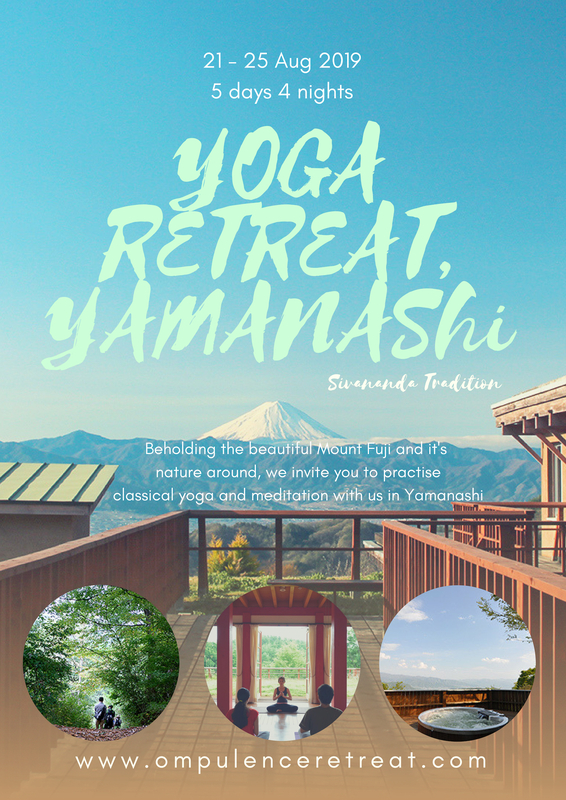 Carol is a very experienced teacher who emphasises on both the physical and spiritual aspects of yoga, which has benefited me greatly. With her correction of my asanas and pushing my limits more with every practice, I feel myself improving in my yoga journey. 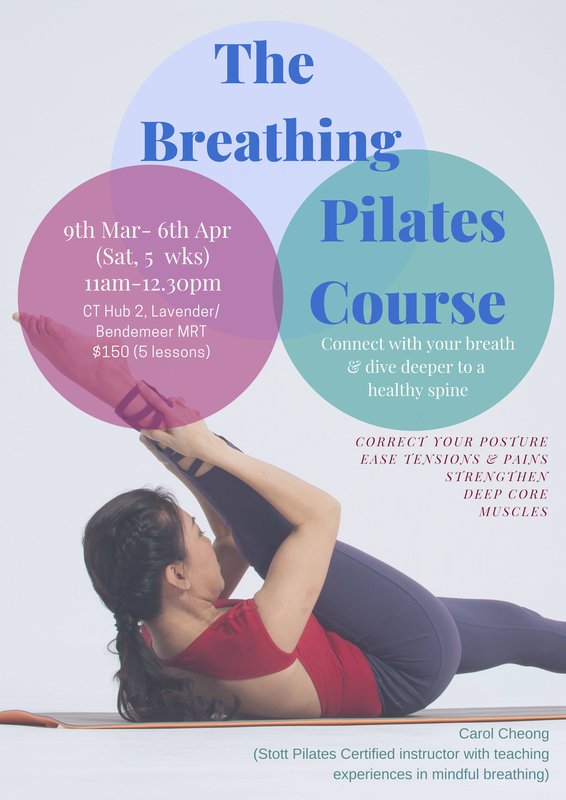 Carol's Breathing Pilates Pilates course is a good introduction or refresher on basic of posture, core strength, stretching and proper breathing. My husband and I enjoyed the personal attention given and feel it had helped us to improve on our own practice now and for future. I would like to thank you for the past 12 weeks of pilates and yoga course in NTU and I appreciate all the hard work you've put into the lessons. I have definitely learnt a lot about yoga - its practices, benefits and the motivations behind it. I also appreciate the weekly final meditations you gave us in class every Tuesday, and I found myself sleeping very well on Tuesday nights and generally feeling more refreshed on Wednesday mornings. I think I have found another part of me through yoga- a more peaceful, more calm version of myself and it really helps my mental health a lot. So thank you for being on this journey with me. Feel lighter and calmer, be free of tensions. Start your practice this week. Start a class or course suited for you from our specially created classes and courses. We are happy to answer any of your queries.